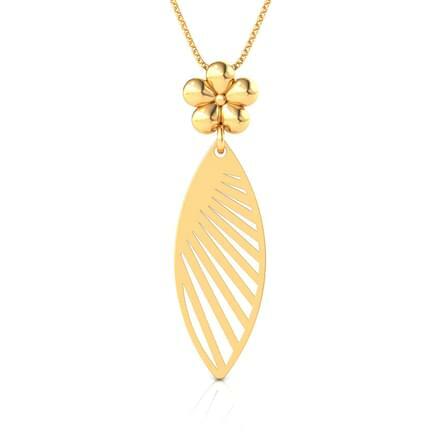 Pendants have been among the most flaunted pieces of jewellery that provide elegance and convenience together. 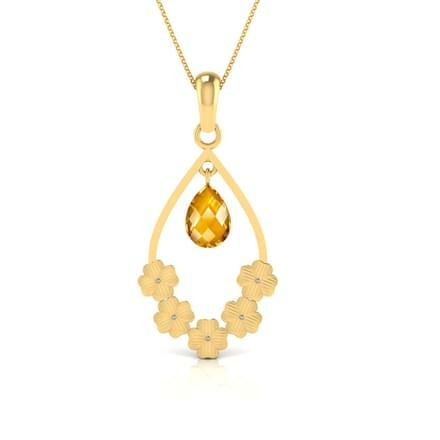 A great way to carry a unique jewel, a pendant can be donned as an everyday wear as well as on special occasions. 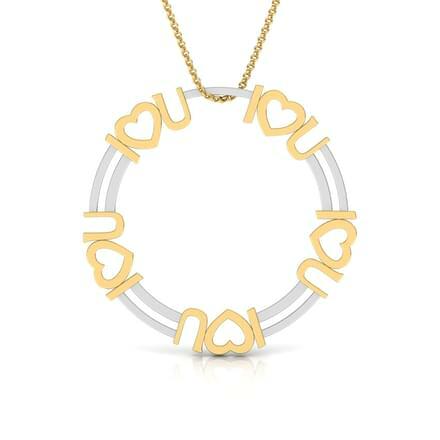 CaratLane has assembled a vast range of more than 870 designs of pendants for women, babies and kids, which can be personalized as well, along with casual and pendants with initials. The assortment of pendants by CaratLane ranges between Rs. 5,000 and goes up to Rs. 2,50,000. 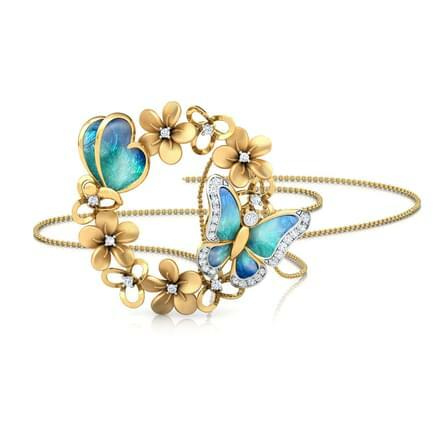 The collection is set in gold, platinum, gemstone, solitaire and diamonds. You can make your pick from a huge selection of styles such as classic, contemporary, designer, ethnic, floral and traditional, to name a few. CaratLane is making online shopping of jewellery hassle-free for its customers. It brings multiple payment methods along with various customer-centric policies aiding their online shopping experience. The portal offers the best quality of jewels at the best prices. 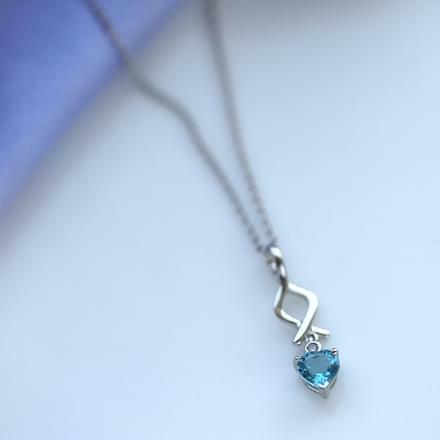 Pendants set in platinum are among the most trending styles of pendants nowadays. Platinum is a metal that defines luxury and style, a reason why it is garnering more attention each day. 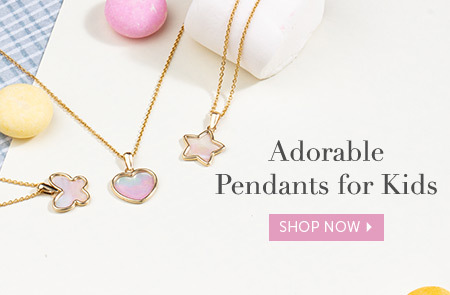 Platinum pendants by CaratLane are extremely stylish and eye-catchy, especially for the younger generation. The Crush Platinum Pendant by CaratLane is set in 950 platinum with diamonds, and is a contemporary design of a platinum pendant for women. 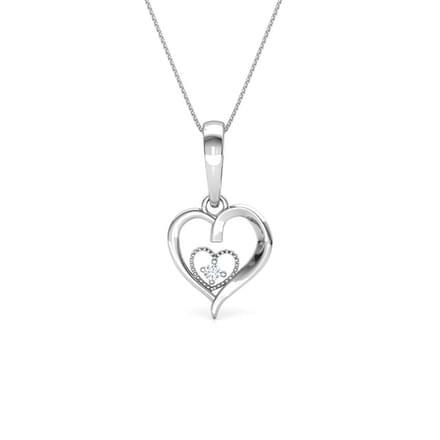 The Cherish Platinum Pendant, set in 950 platinum with diamonds is a classy and elegant piece of platinum jewellery. 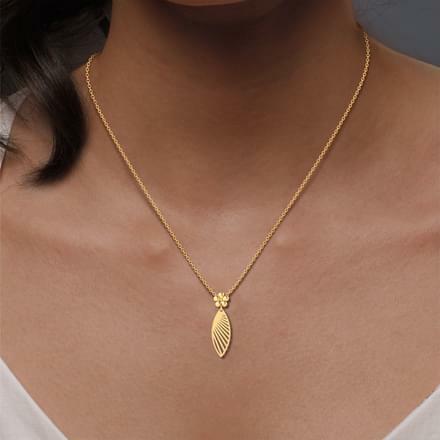 Gold pendants convey an evergreen appeal through its classy and simplistic styling. 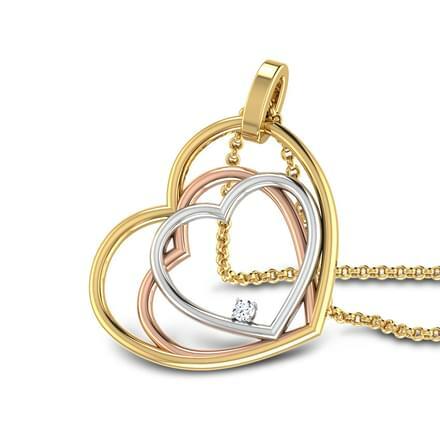 A gold pendant makes for a perfect gift for any occasion, from weddings, birthdays to anniversaries for women and kids. 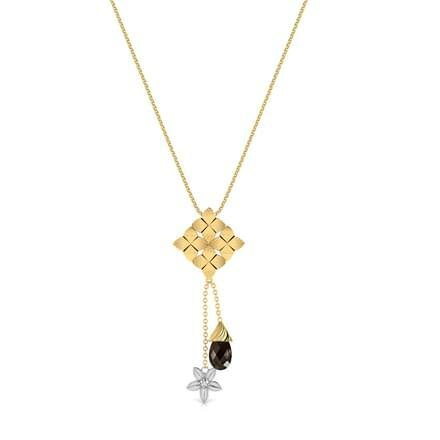 The Uttarakshin collection of gold pendants by CaratLane is truly mesmerizing. It's Antara Lotus Gold Pendant and the Kajal Lotus and Coin Gold Pendant from the collection, set in 22K yellow gold are intricately designed ornaments. 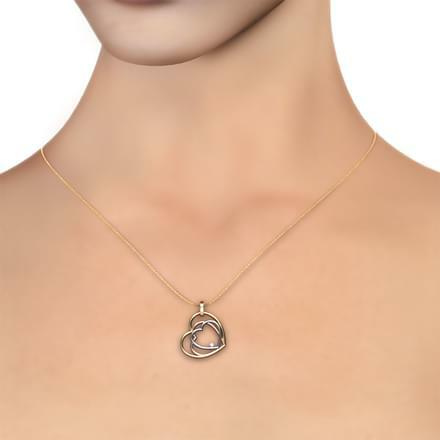 CaratLane's Rosaline Cutout Pendant, set in 22K yellow gold and the Christa Cutout Pendant, set in 18K yellow gold from the Gold Lace collection are beautiful contemporary designs of a gold pendant. The Mira Chandelier Pendant and the Ella Clustered Pendant, both set in 22K yellow gold by CaratLane are perfect jewels as an addition to a bridal jewellery collection. Pendants inspired by religious icons are always in high demand. 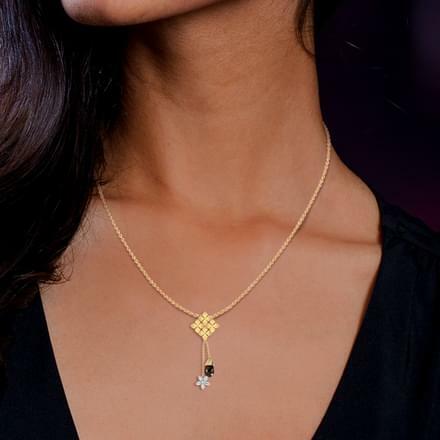 CaratLane's Shree Pendant, set in 18K yellow gold with diamonds and the Gayatri Yantra Pendant, set in 18K rose gold with diamonds are beautiful examples of traditional and classy pendants. 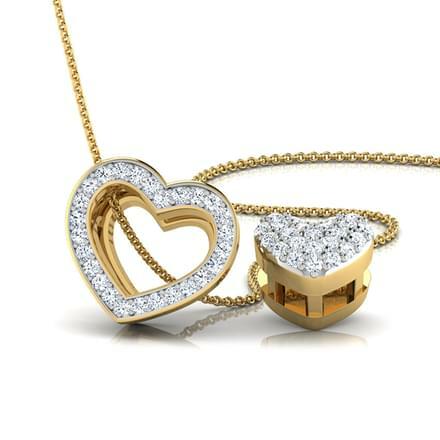 A bridal jewellery collection is incomplete without diamonds and a diamond pendant is an evergreen style for everyday wear as well as for parties and evening get-togethers. 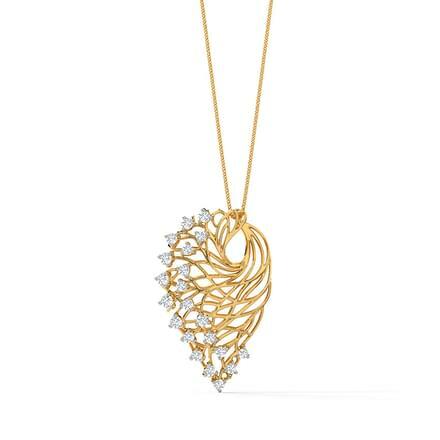 CaratLane's diamond pendant collection is matchless, having a unique design suitable for all tastes. 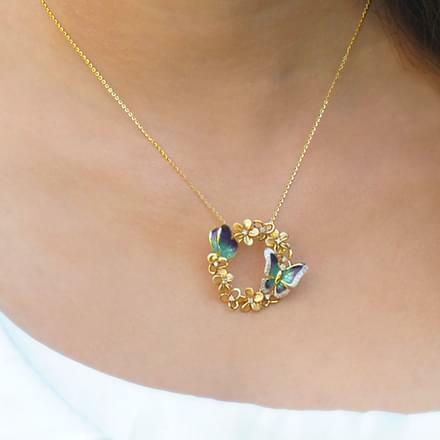 The Peacock collection by CaratLane is a truly traditional and exquisite collection of diamond pendants. The Supreme Peacock Pendant and the Poise Peacock Pendant, set in 18K yellow gold with diamonds are stunning and colourful pendant designs inspired by the beautiful bird, peacock. 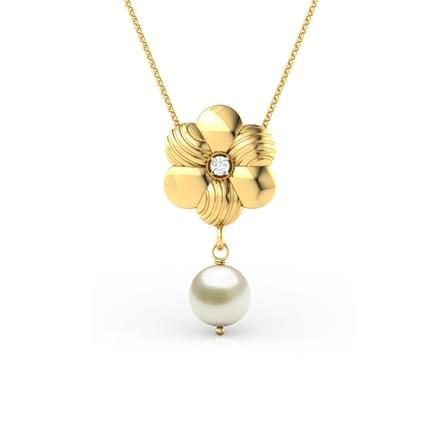 The Fernanda Pendant and the Dahlia Pendant from the Fleur collection by CaratLane are set in 18K rose gold with diamonds are delicate designs of diamond pendants. 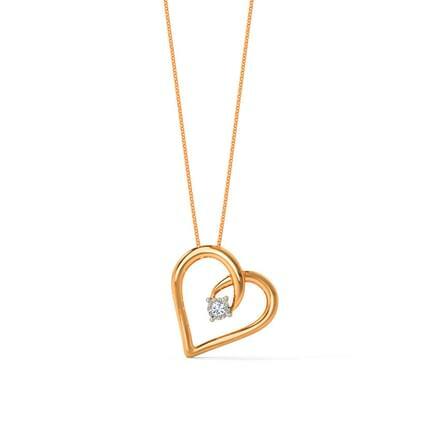 The Jalen Alphabet R Pendant and the Blair Alphabet A Pendant from the Valentines collection by CaratLane are set in 18K yellow gold with diamonds, which are initial pendants with intricate filigree work. 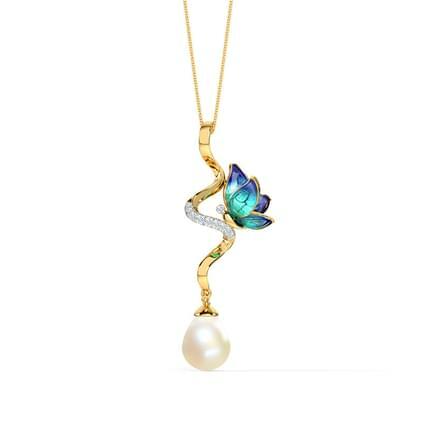 Gemstone pendants have been donned for astrological purposes as well as stylish jewellery styles. 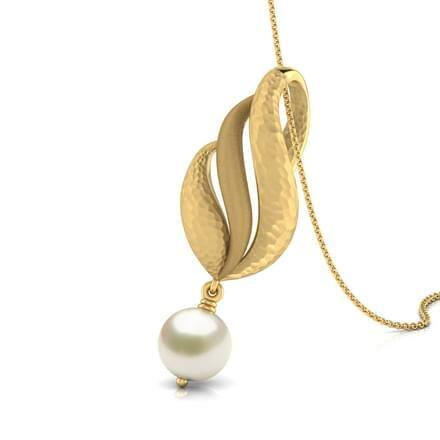 CaratLane boasts of an unbeatable pendant design collection available online. 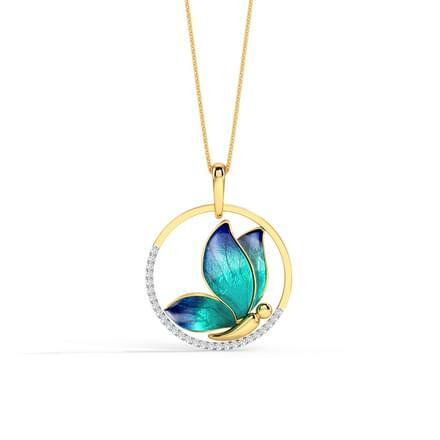 A gemstone pendant can be flaunted as every day wear as well as on special occasions. 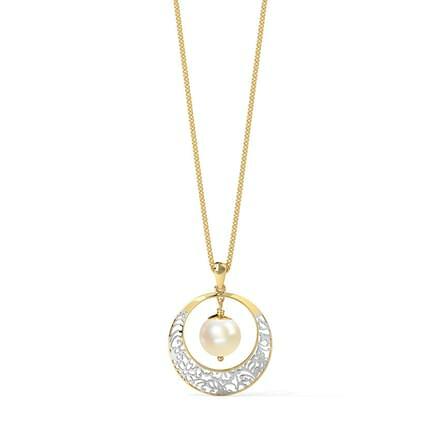 CaratLane's Bloom Pearl Pendant, set in 18K rose gold with diamonds is a true beauty in white and can be a great office wear. 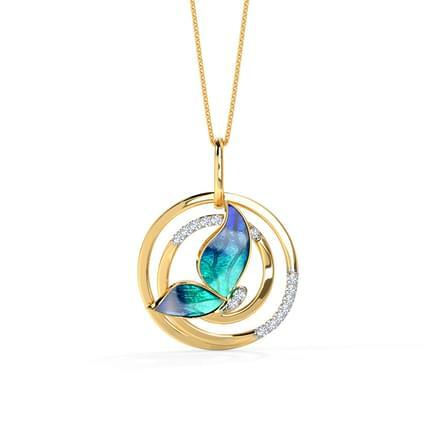 The Naked Cushion Pendant from the La naturale collection by CaratLane, set in 18K yellow gold with diamonds and emerald is a classic pendant design. The Coral Drop Pendant from CaratLane's gemstone pendant collection is set in 18K yellow gold with diamonds and is a trendy pendant design, which can be a perfect for an evening outing. 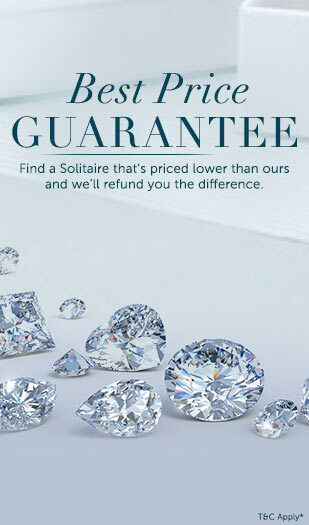 The sheen of a solitaire in the form of jewellery has always caught the attention of a diamond admirer from far. 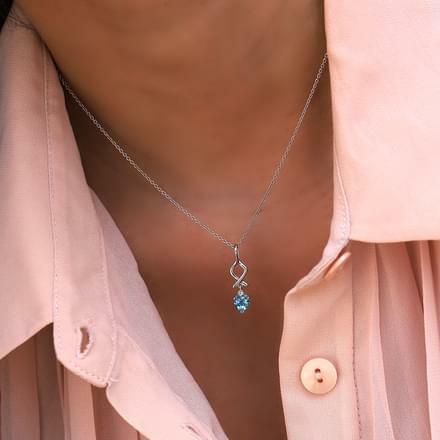 A solitaire pendant is the classiest style of pendants, a must-have for every woman. The Two Row Halo Solitaire Pendant, set in diamonds and 18K white gold is a dazzling solitaire pendant design by CaratLane. 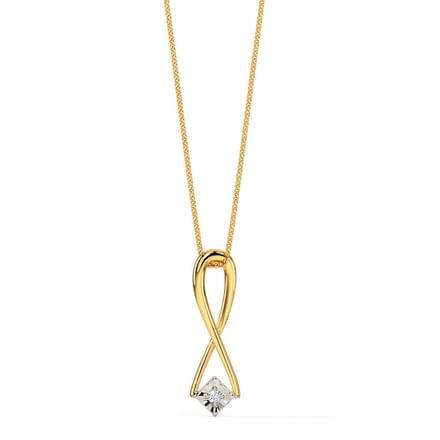 The Claire Pendant by CaratLane is set in diamonds and 18K yellow gold is a beautiful solitaire pendant. The Scintillate Solitaire Pendant by CaratLane, set in diamonds and 18K white gold is a beautifully crafted square-shaped solitaire pendant.